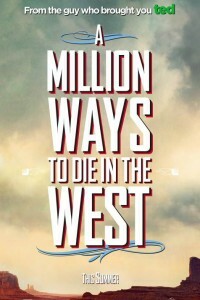 The story of A Million Ways To Die In The West – the Seth MacFarlane follow up to the 2012 movie box office smash Ted – follows a cowardly farmer (Seth MacFarlane) whose girlfriend (Amanda Seyfried) leaves him after he backs out of a gunfight. When a mysterious woman (Charlize Theron) comes to town, he begins to find his courage while falling in love with her. However, when the woman’s outlaw husband (Liam Neeson) arrives, he must put his newfound courage to the ultimate test. From Seth MacFarlane, the director of Ted and creator of TV’s Family Guy. The movie Pan, from Warner Bros. , is an origin story of Peter Pan.